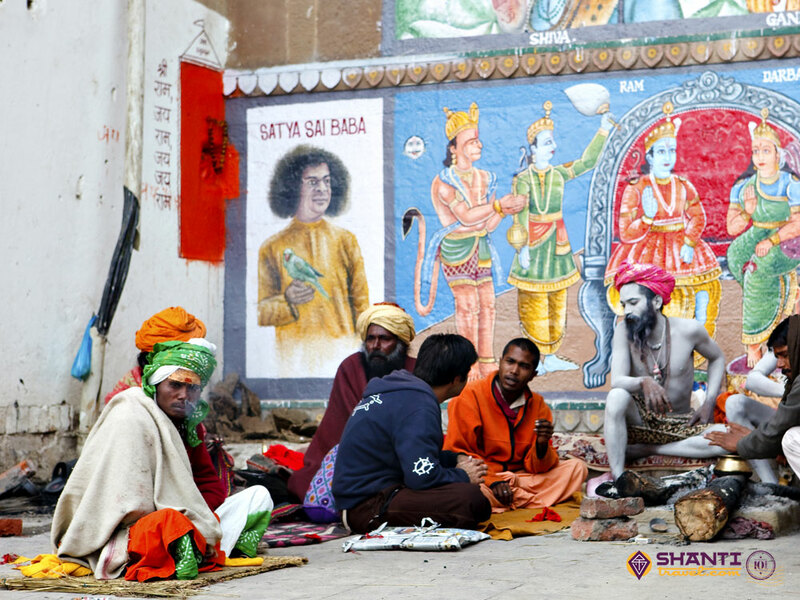 Millions of travelers visit Varanasi every year to be hypnotised by the magic it invariably casts. 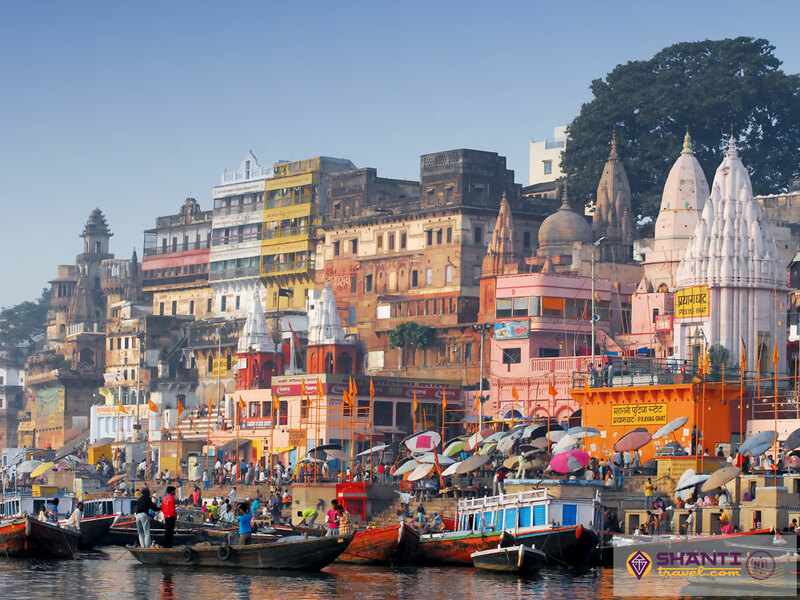 The city is most famous for its spiritual atmosphere and the numerous Ghats on the banks of the holy river Ganga. Boat cruises on the river, evening chants with thousands of oil lamps, delectable local food – the city has it all. It is almost mandatory for every traveler to visit Varanasi at least once in their lives. The experience is known to have changed the lives of one too many! Temples are strewn about in the streets of Varanasi like flowers in the Garden of Eden. The most significant of these is the majestic Kashi Vishwanath Temple, also called the Golden Temple owing to its gilded pagodas. The temple has been repeatedly destroyed and rebuilt over the course of history. The present structure was built in 1780 by Ahilya Bai Holkar, a female Maratha ruler of Indore. The temple is one of the 12 Jyotirlingas, which are the most sacred temples dedicated to 12 different forms of Lord Shiva. A visit to the Kashi Vishwanath temple is said to bestow as much merit upon the devotee as they would earn by paying obeisance at all the remaining 11 Jyotirlingas spread throughout India. But foreign travellers do not visit Varanasi to wash away their sins or to accumulate the merit bestowed by Hindu gods. So what is it really that brings them all the way to the heart of India? Well, among other things, it is the surreal magic in the very streets and ghats of Benaras! Wake up very early one morning and take a walk along the ghats to get a sneak peak into the city’s daily life. You will find devotees taking dips in the holy water, chanting prayers, and sometimes even doing their laundry! Some of the ghats have their own designated purposes. For instance, while Assi Ghat is meant for holy bath, Manikarnika and Harishchandra Ghats are exclusively used to cremate one’s dead kin. You can even stand in one of the balconies overlooking the latter and watch the funereal ceremonies in procession. When in Tulsi Ghat you can visit the ashram where Vedic scholar, Tulsidas who authored the epic Ramcharitmanas, a retelling of the Sanskrit Ramayana based on Rama’s life. Just few steps from the ashram is the famous Indian Gymnasium called Tulsi Akhara. For those curious about Indian traditions and culture, this would be an experience like no other. It goes without saying – take a dip in the holy waters of the Ganga. The water, owing to its self-oxygenating properties and religious significance, is known to be a purifier of both body and mind. Do this at sunrise to experience its full impact on your soul. Watching the sun rise over the horizon, with water all around, you will feel truly one with your surroundings and yourself. Thereafter take a boat down the river from one of the upstream ghats – and don’t forget to haggle with the boatmen for the best price! Spend the day navigating the narrow streets and alleyways of Varanasi, buying knick-knacks and trying the local food. You’ll find innumerable children frolicking around and men and women busily discussing national politics with gusto. 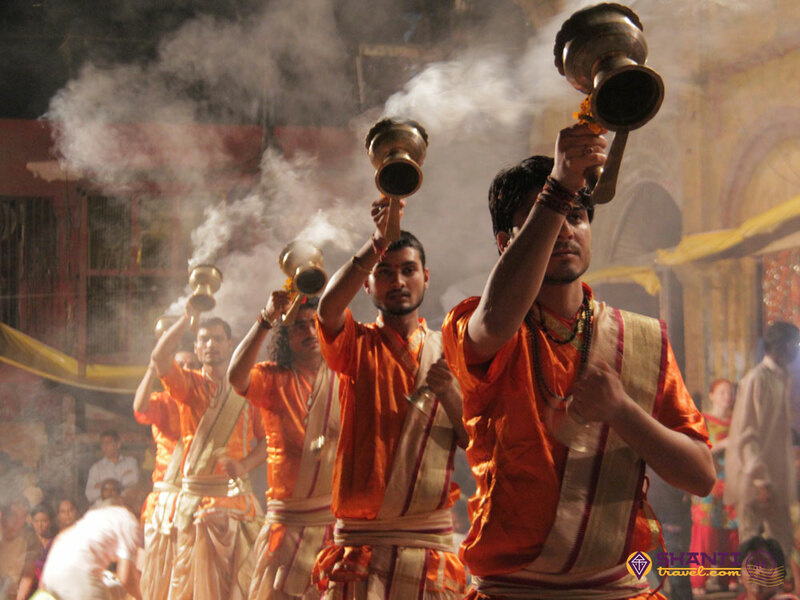 In the evening, attend the Ganga Aarti (offering prayers to River Ganges) at the famous Dashashwamedh Ghat. Prayers are offered at huge altars by a group of priests, attended by hundreds of devotees and tourists from all over. Music is played, bells are rung, incense sticks and oil lamps are lit and Sanskrit chants rent the air. It is an utterly unique experience that can scarcely be described in words. 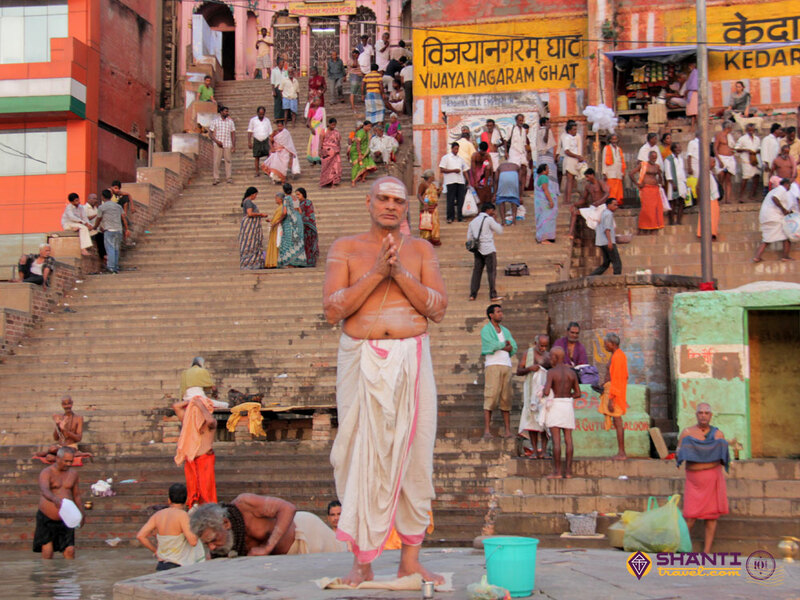 You have to visit Varanasi to be a part of this extraordinarily hypnotic experience. You will undoubtedly thank us later. 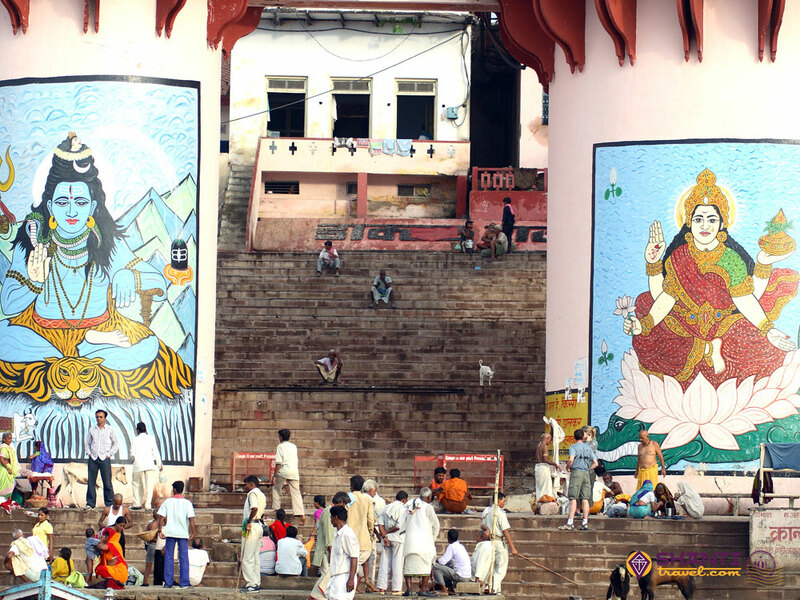 Varanasi is a heady concoction of spirituality, mysticism, and cultural heritage. It is where the physical world transcends into the spiritual world, producing an experience as heady as it can get. The best period to visit Varanasi is October-November and February-March, when the weather is pleasant but not too cold. Whether or not you are a believer in the miracles of devotion and spirituality, visit Varanasi and let yourself be mesmerised.